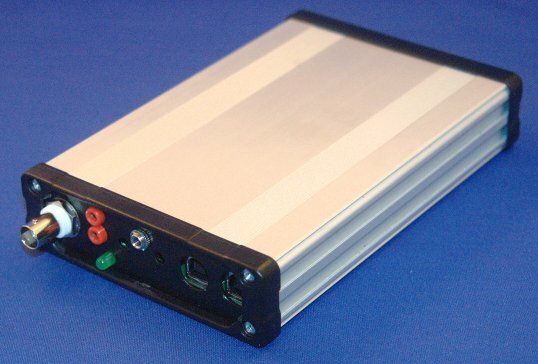 The Cross Country Wireless SDR-4 is an affordable SDR (software defined radio) covering the HF spectrum from 0.85 to 30 MHz. It features a Si570 low noise synthesised VFO, relay switched band pass filtering, a power FET RF amplifier and a built-in USB soundcard. The price of the SDR-4 is £149.95 plus shipping from the UK. Buy directly from the manufacturer–per their instructions: Since then demand has been very high [for the SDR-4] and rather than having a Paypal button on the webpage we have started a waiting list of potential customers. When batches of the receivers are ready we email potential customers with an option to buy a receiver. Contact Chris Moulding, G4HYG via info@crosscountrywireless.net to be added to the list. This entry was posted in Cross Country Wireless, Made in the UK, Software-Defined Radios (SDR) and tagged Cross Country Wireless, Cross Country Wireless SDR-4, SDR, SDR-4, Shortwave Radios, Software-Defined Radio, Software-Defined Radios. Bookmark the permalink.